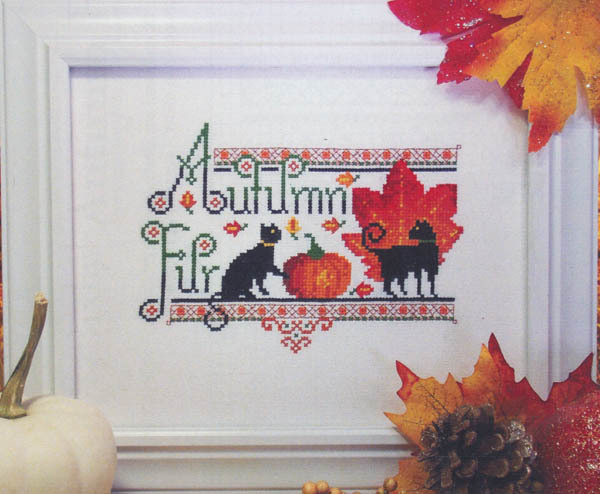 Two black cats with autumn leaves and pumpkin. - Autumn Fur. Count: 95w x 71h. Model stitched on 28ct white Zweigart Jubilee.